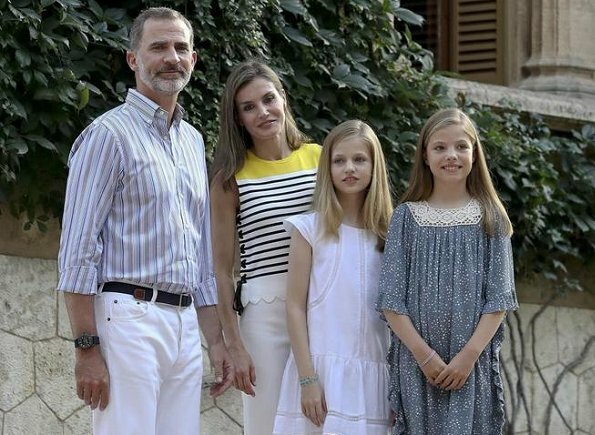 King Felipe of Spain, Queen Letizia of Spain and their daugthers Princess Leonor and Infanta Sofía attend 2017 Summer Photo session in the garden at the Marivent Palace on the island of Mallorca. The royal family spends their traditionally summer holidays at the Marivent Palace. King Philippe and Queen Mathilde of Belgium, Prince Charles, Prince William and Duchess Catherine attend the commemorations at the Tyne Cot Commonwealth War Graves Cemetery in Ypres, as part of a series of commemorations for the 100th anniversary of the Battle of Passchendaele. The Duchess is wearing Catherine Walker. Pierre Casiraghi and Beatrice Borromeo in Palma de Mallorca, Spain. Pierre Casiraghi attend the training day of the 36th Copa Del Rey Mapfre Sailing Cup at the Real Club Nautico de Palma on July 30, 2017 in Palma de Mallorca, Spain. 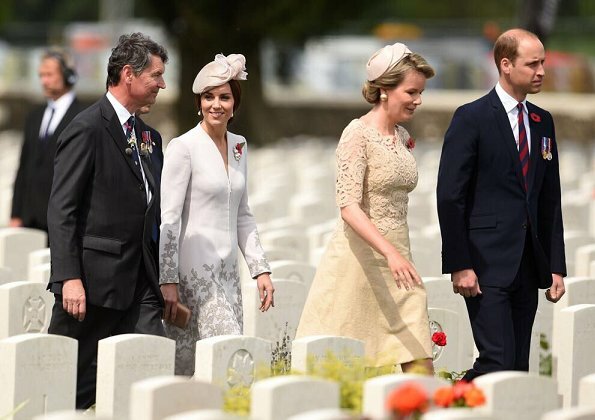 Queen Mathilde and King Philippe of Belgium, Prince William and Duchess Catherine of Cambridge attended a ceremony marking the centenary of the battle of Passchendaele, one of the bloodiest of World War I during the Last Post ceremony at the Commonwealth War Graves Commission in Ypres (Menin Gate). Duchess wore Alexander McQueen cream coatdress. Queen Mathilde wore a lace dress by Natan. Queen Margrethe and Princess Benedikte of Denmark attended a church concert directed by conductor Bo Holten, performed by the vocal ensemble Musica Ficta and held at Grasten Palace Church in the afternoon of July 29. Duchess Catherine of Cambridge wants a third child! According to the claims of magazine websites in USA and UK, Duchess Catherine and Prince William who get along well with eachother and complete eachother in every issue have been of different opinions lately. According to the claims, that issue is "a new baby". 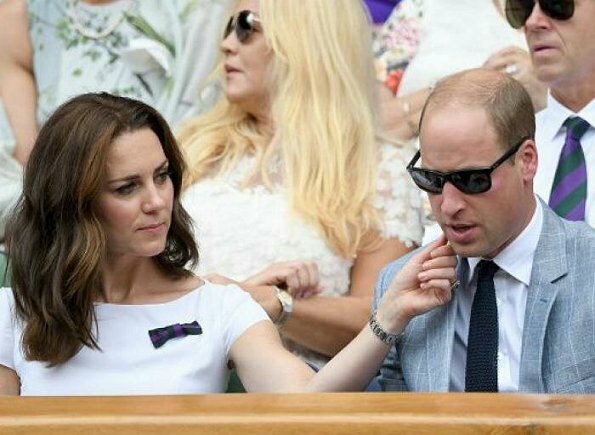 Kate wants to have a new baby but Prince William doesn't want it. Lady Amelia Windsor is on holiday at Martha's Vineyard in Massachusetts. On her Instagram account, Lady Amelia shared three photos taken during that holiday. Amelia appears spending to be time, outdoors on the picturesque island, which is located just south of Cape Cod on the East Coast of America. As well as exploring the island on a bike, the fashionable royal also took a boat trip with an adorable dog for company. Prince Albert, Princess Charlene and their twins children Princess Gabriella and Prince Jacques attend the launching ceremony of the transoceanic exploration ship Yersin Yatch in Yacht club of Monaco. The Yersin will be used for scientific researches, during a 3 years long trip around the world., and will visit approximately nine areas to conduct scientific research in remote locations on the sea. Prince Charles and Duchess Camilla visited the 136th Sandringham Flower Show held at Sandringham in King's Lynn, England on July 26, 2017. The couple also visited stalls run by the King's Lynn and District Beekeepers' Association, the Norfolk and Norwich Association for the Blind and the Red Cross. The Prince of Wales is Patron of The Sandringham Estate Cottage Horticultural Society. 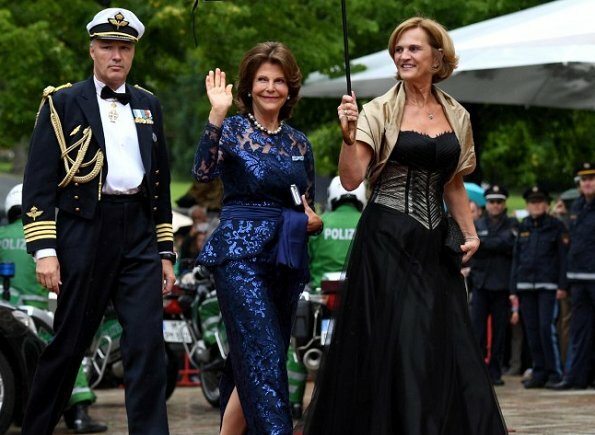 Queen Silvia and King Carl XVI Gustaf of Sweden, Bayreuth's mayor Brigitte Merk-Erbe and her husband Thomas Erbe, Bavarian Minister-President Horst Seehofer and his wife Karin attend the opening of the Bayreuth Festival 2017 (Bayreuth Festspielhaus) in Bayreuth, Germany, 25 July 2017. The festival opened with the opera "Die Meistersinger von Nuernberg" (The Master-Singers of Nuremberg). 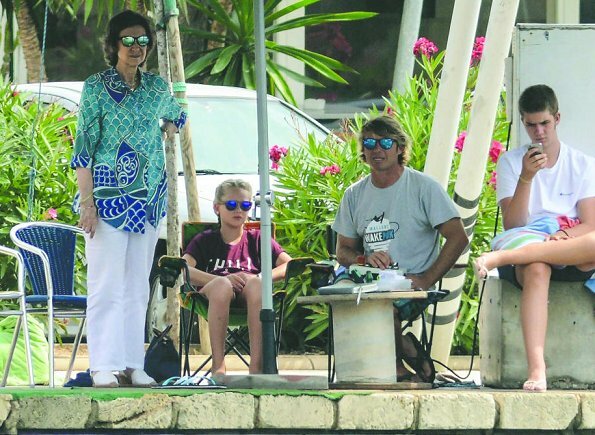 On July 24, 2017, Queen Sofia of Spain and her grandsons Juan Valentin Urdangarin, Pablo Nicolas Urdangarin and Irene Urdangarin are seen in Majorca Wakepark, Balearic islads. Spanish royal family will spend their holidays in Mallorca. Queen Silvia of Sweden is awarded with The Bavarian Order of Merit (Bayerischer Verdienstorden) at Prinz-Carl-Palais in Munich. 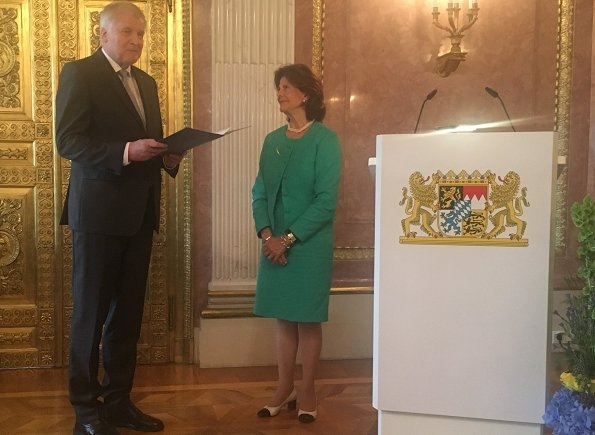 At a celebration in Munich on 24 July, this distinction, which is awarded in recognition of outstanding services to the Free State of Bavaria, was presented by Bavarian premier Horst Seehofer. Queen Letizia of Spain attended the annual meeting of Cervantes Institutes with directors of Cervantes Institutes at St Petersburg Russian Art Museum (Colección del Museo Ruso San Petersburgo Málaga) in Malaga, Spain on July 24, 2017. 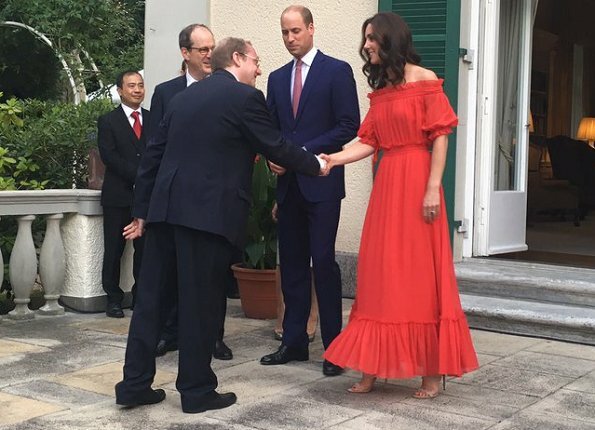 Queen Letizia wore a red Plissé dress by Nina Ricci. 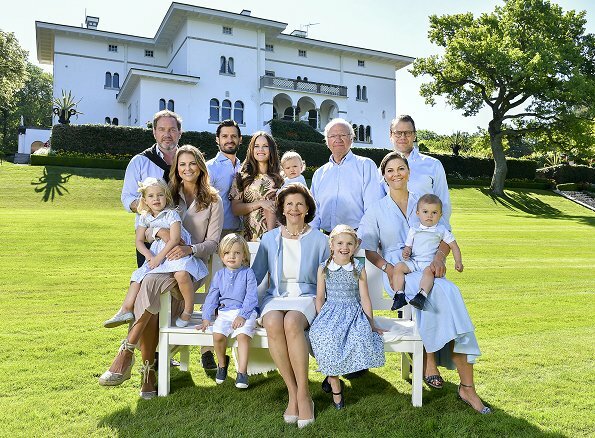 Swedish Royal Family published a photo taken at the garden of Solliden Palace in Öland where they had their 2017 summer holiday, with the message "Greetings from Solliden Palace". 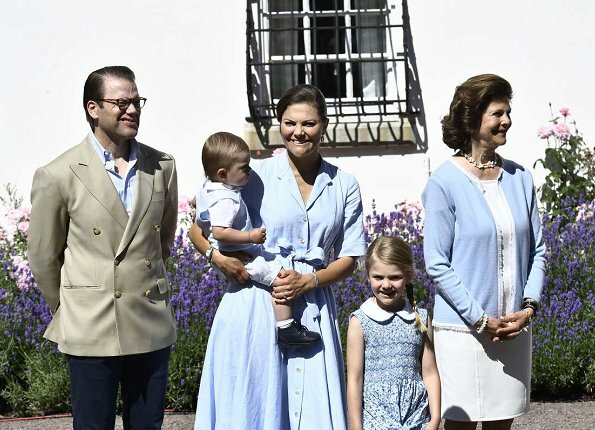 The photo shows the family members and was taken by Royal Family Photographer Jonas Ekströmer on July 15 and published on Swedish Royal Website. 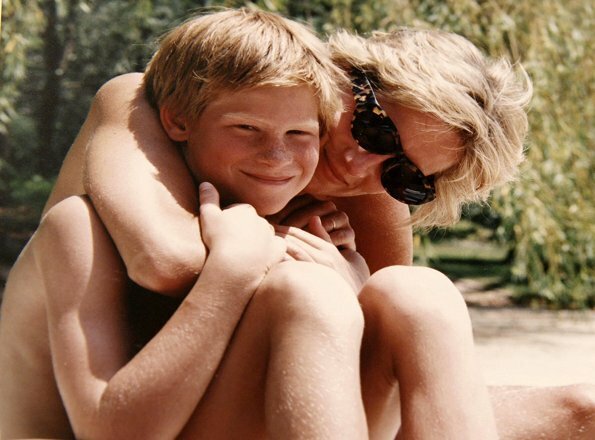 Prince William and Prince Harry shared 3 photos from the personal photo album of their mother Princess Diana of Wales. These photos were shared by Kensington Palace on July 23, 2017 with the message "The Duke and Prince Harry are pleased to share photographs from the personal photo album of the late Diana, Princess of Wales.". 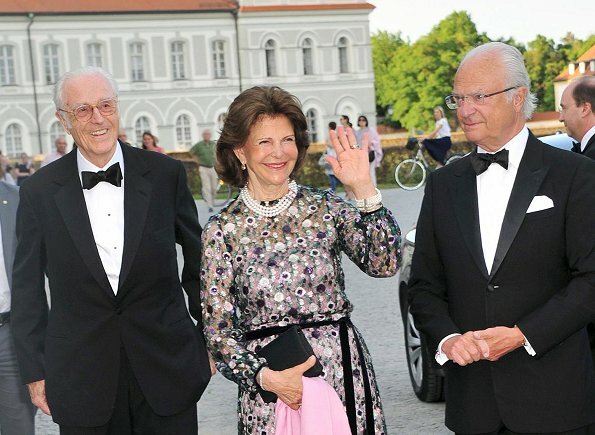 Queen Silvia of Sweden and King Carl XVI Gustaf of Sweden attended 80th Birthday Dinner of Prince Max, Duke of Bavaria (Duke Herzog in Bayern) held at Nymphenburg Palace (Schloss Nymphenburg) in Munich. 80th birthday of Duke Prince Max of Bavaria is on January 20 and the celebrations took place yesterday. 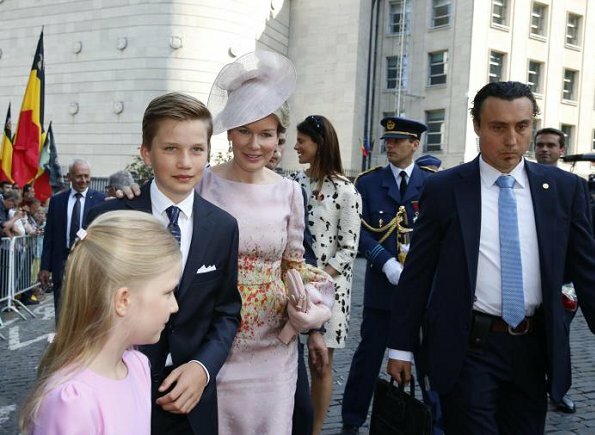 Prince Felix of Denmark celebrated his 15th birthday on July 22. 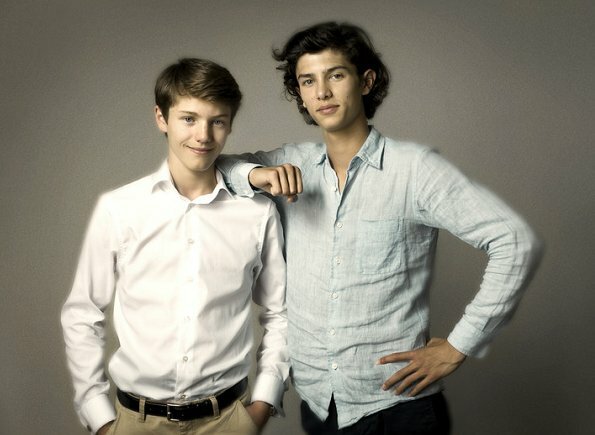 Danish Royal House published new photos of Prince Felix taken together with his elder brother Prince Nikolai on his 15th birthday. Prince Felix of Denmark (born on July 22, 2002) is the youngest son of Prince Joachim and his former wife Countess Alexandra. 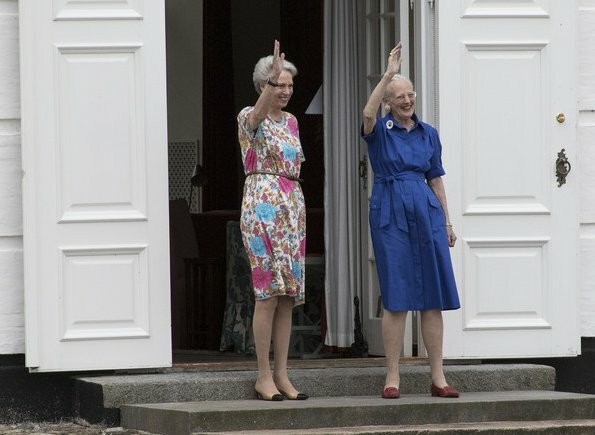 On July 21, 2017, Friday, Queen Margrethe and Princess Benedikte attended ceremony of guard changing held at Grasten Palace (Danish: Gråsten Slot) in Jutland. 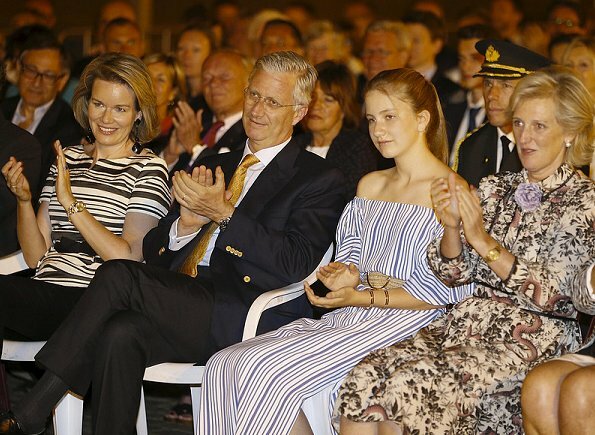 Queen Mathilde, King Philippe, Crown Princess Elisabeth, Princess Astrid and Prince Lorenz of Belgium attended the firework show held for National Day of Belgium in the evening of July 21, 2017, Friday in Brussels. Today is July 22 and 4th birthday of Prince George. 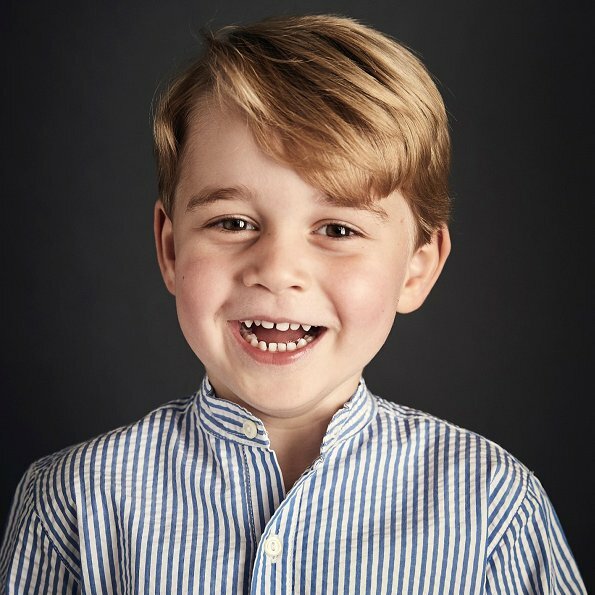 Kensington Palace published a new portrait of him yesterday on which he smiles at the camera for the purpose of celebrating fourth birthday of Prince George. The photo was taken last month by photographer Chris Jackson at Kensington Palace, house of the young Prince. On the shared new photo, it was written "The Duke and Duchess are delighted to share a new official portrait of Prince George to mark HRH's 4th birthday tomorrow". Happy birthday to you Prince George. On July 21, 2017, Prince Albert and Princess Charlene of Monaco attended the Medal Ceremony of the IAAF Diamond League Herculis race at Louis II Stadium in Monaco. Prince Albert and Charlene presented medals to the winners. Jamaican Usain Bolt in 100m race, and South African Van Niekerk won the gold medal in the 400 metres race. 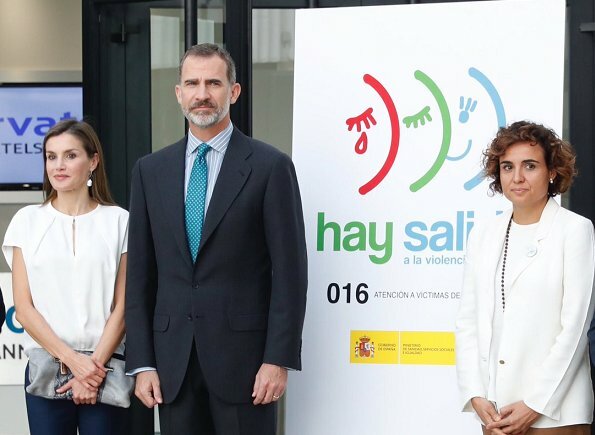 Queen Letizia of Spain attended the opening of the International Music School 2017 Summer Courses of the Princess of Asturias Foundation (FPA) at the Prince Felipe Auditorium in Oviedo, Spain on July 21, 2017. 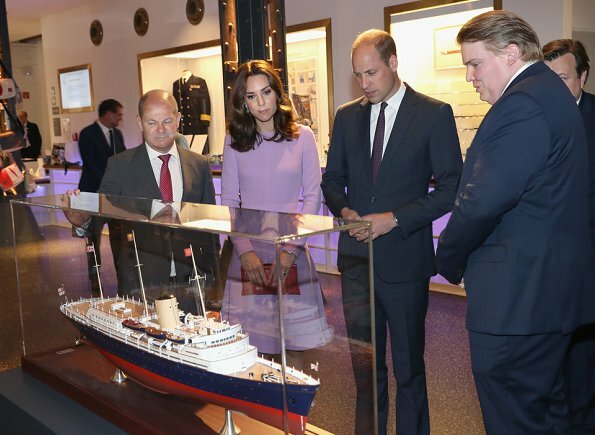 On July 20, 2017, Prince William, Duke of Cambridge and Catherine, Duchess of Cambridge attend a reception at 'Claerchens Ballhaus' dance hall in Berlin, on the second day of the British royal couple Germany visit. The Duchess wore a bird print jacquard dress from Markus Lupfer Pre Autumn/Winter 2017 Collection. 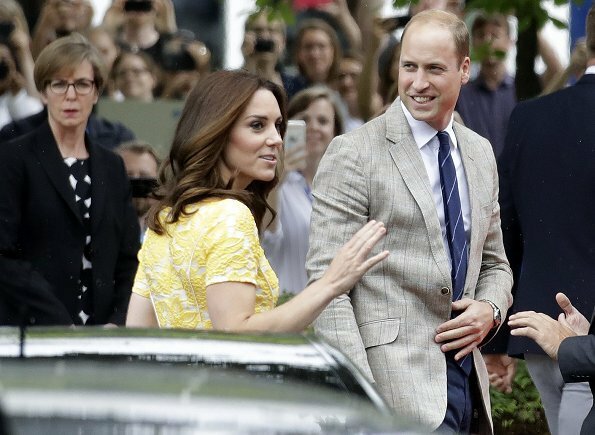 On the second day of their visit to Germany, Prince William, Duke of Cambridge and Catherine, Duchess of Cambridge the visited German Cancer Research Centre in Heidelberg in Germany. The Duke and Duchess of Cambridge visited the stem cell research lab. Then, The Royal Couple visited a traditional German market in Heidelberg. The Duchess wore a bespoke yellow brocade dress by Jenny Packham. 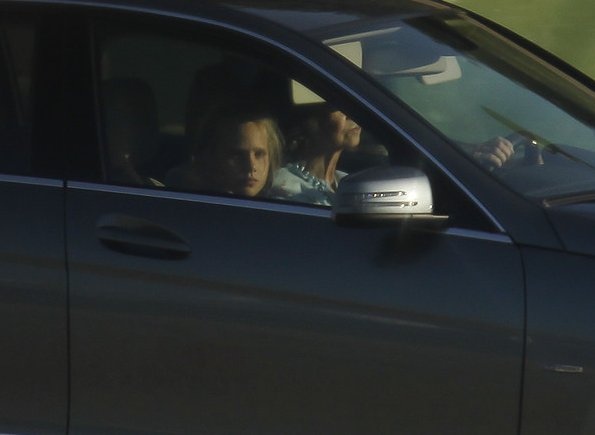 Today, Princess Sofia of Sweden went to Göteborg from Solliden where she is on holiday in order to watch matches of Project Playground's Football Team which joins Gothia Tournament (Gothia Cup). Project Playground's Football Team lost the match which it played with Norrby team by 0-1 on Monday and beat SuS Kaiserau by 8-0 on Tuesday and drew with IFK Uppsala by 0-0 today. 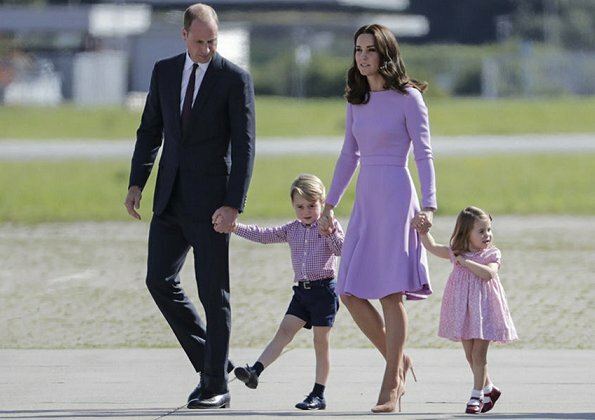 On July 19, 2017, Prince William, Catherine, Duchess of Cambridge, Prince George and Princess Charlotte arrived at Berlin Tegel Airport. German Chancellor Angela Merkel welcomes Duchess Catherine and Prince William, Duke of Cambridge at the German Chancellery. 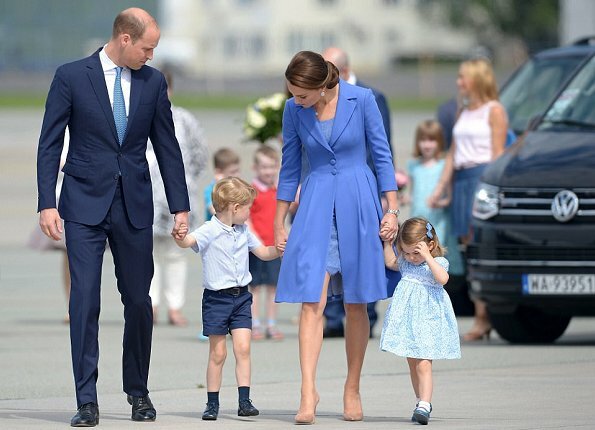 The Duchess wore a cornflower blue dress by Catherine Walker. 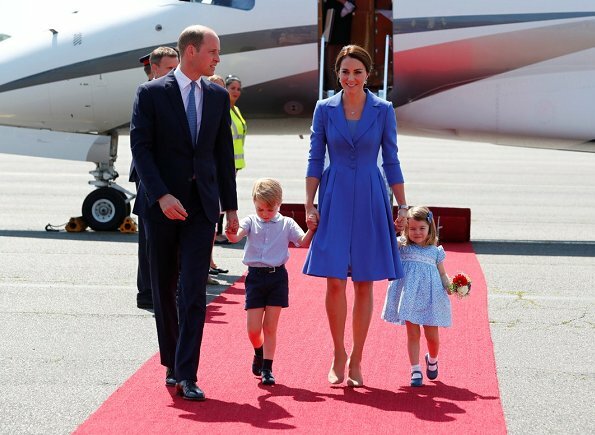 On July 19, 2017, Prince William, Duke of Cambridge and Catherine, Duchess of Cambridge with Prince George and Princess Charlotte leave Warsaw, Poland, as they head to Germany. 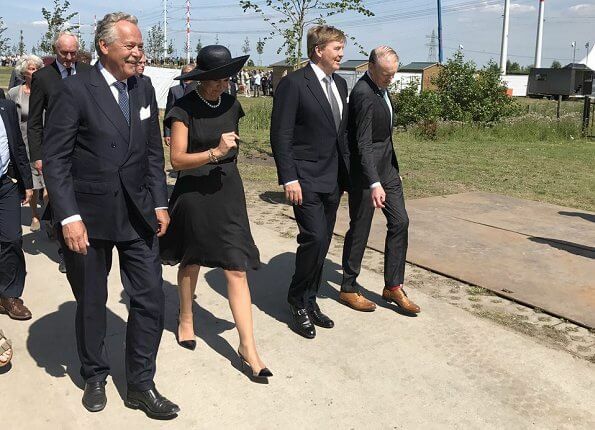 On the second day of their visit to Poland, Prince William, Duke of Cambridge and Catherine, Duchess of Cambridge visited a former Nazi Concentration Camp. 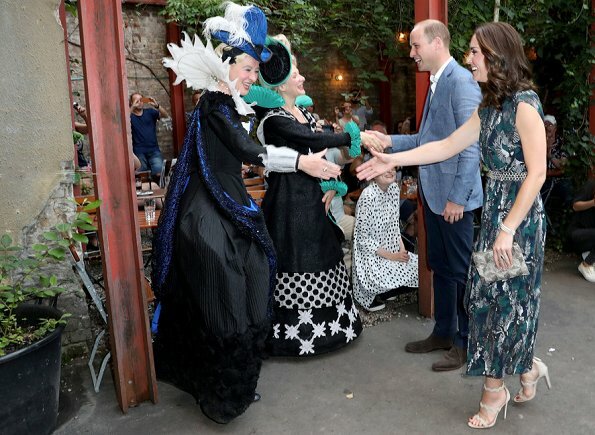 Then, Prince William and Catherine Duchess of Cambridge visited Gdansk Shakespeare theatre. Theatre opened in 2014, and is home to the city's annual Shakespeare festival, attended by theatre-lovers from around the world. 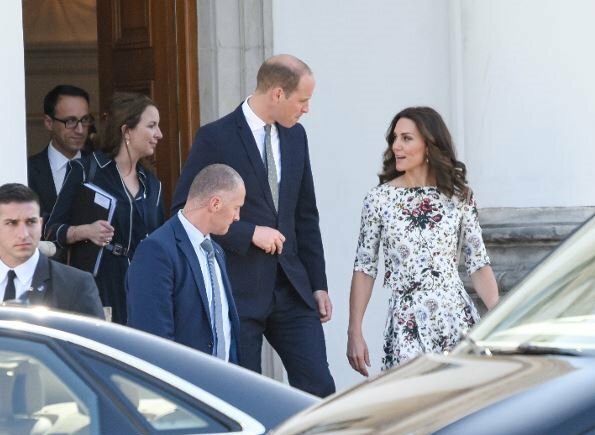 Duchess Catherine wore a floral print dress by Erdem. 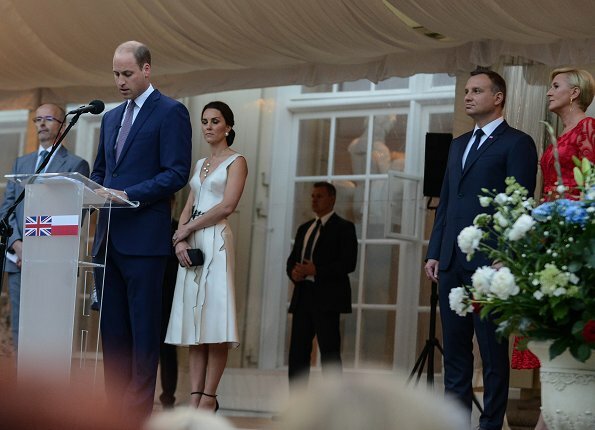 On the first day of the visit, Prince William, Duke of Cambridge and Catherine, Duchess of Cambridge attended a special reception at the picturesque Orangery in Łazienki Park in Poland. Prince William gave a speech at reception. The Duchess wore a white dress by Polish designer Gosia Baczynska. 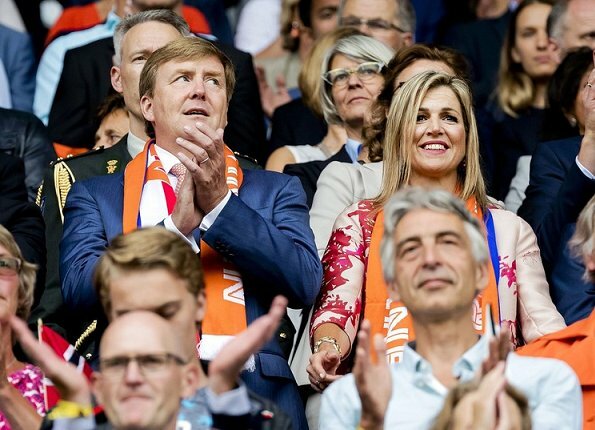 On July 17, 2017, King Willem-Alexander and Queen Maxima of The Netherlands attend the MH17 remembrance ceremony and the unveiling of the National MH17 monument in Vijfhuizen. The momument is designed by Ronald A. Westerhuis and is placed in a tree park 'Green Ribbon' designed by Robbert de Koning with 298 trees representing each victim of the MH17 crash on 17 July 2014. 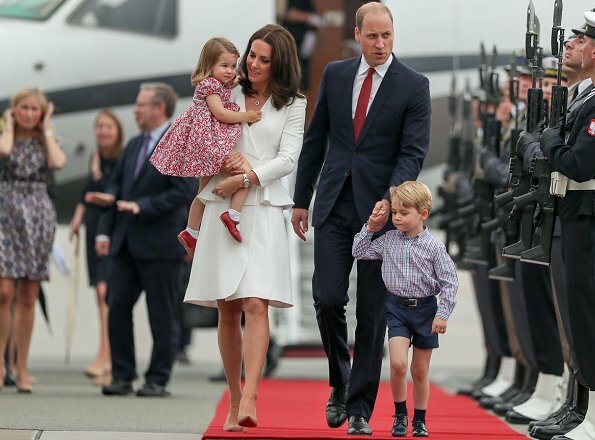 Prince William, Catherine, Duchess of Cambridge, Princess Charlotte and Prince George arrived at Warsaw airport. Then, Prince William and Duchess Catherine met President Andrzej Duda and the First Lady Agata Kornhauser-Duda at the Presidential Palace on July 17, 2017. 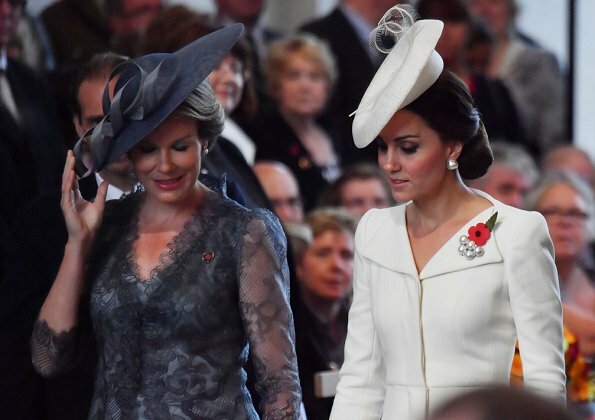 The Duchess wore a peplum coat by Alexander McQueen. Queen Letizia of Spain attended the presentation ceremony of "National Fashion Awards 2017" (Premios Nacionales de la Moda) at the Costume Museum (Spanish: Museo del Traje) on July 17, 2017 in Madrid, Spain. Today is July 17 and the Duchess of Cornwall celebrates her 70th birthday! Camilla, Duchess of Cornwall, (née Camilla Rosemary Shand, previously Parker Bowles; born 17 July 1947), is the second wife of Charles, Prince of Wales, who is the eldest child and heir apparent of Queen Elizabeth II. 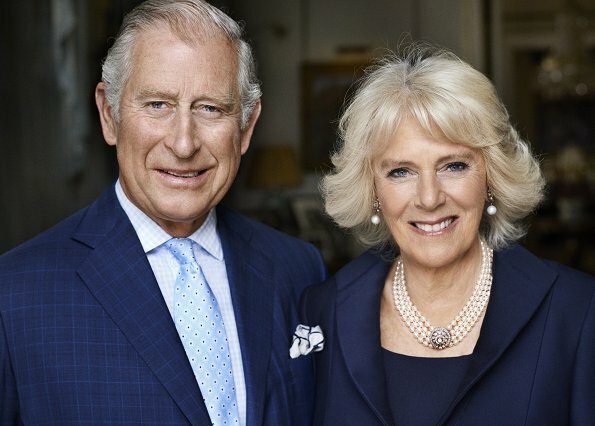 On the occasion of the birthday, Clarence House Press Office published a new photo showing Duchess Camilla and Prince Charles. 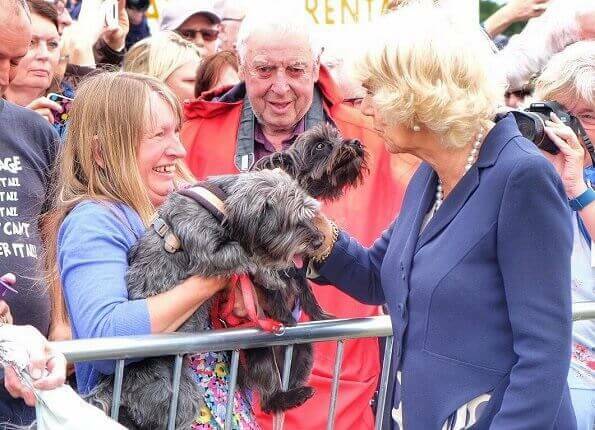 Happy birthday to you, Duchess Camilla. 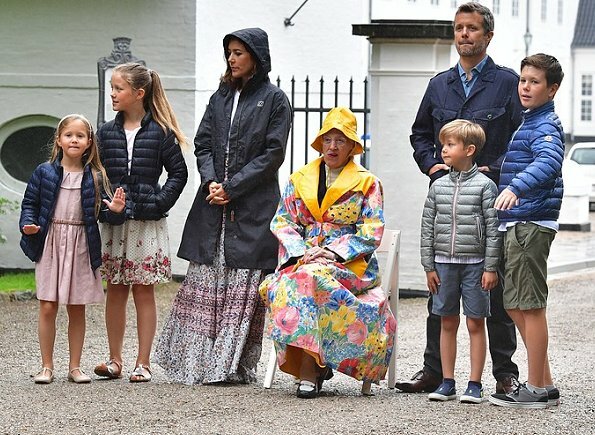 Sophie, Countess of Wessex officially opened the Royal Windsor Summer Show on July 15, 2017. 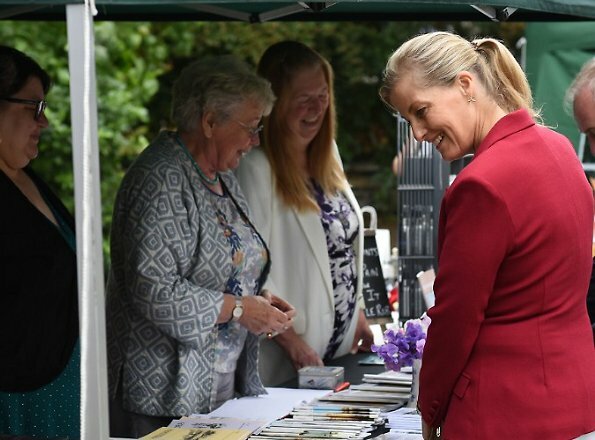 The countess cut the ribbon for the event, which is organised by the Royal Windsor Rose and Horticultural Society and takes place at St George's School in which garden of Windsor Castle. Crown Princess Mary and Prince Frederik of Denmark with their children Prince Christian, Princess Isabella, Princess Josephine and Prince Vincent were spotted biking near the Grasten Palace yesterday. Gråsten Palace is one of the summer residences of the Danish royal family. 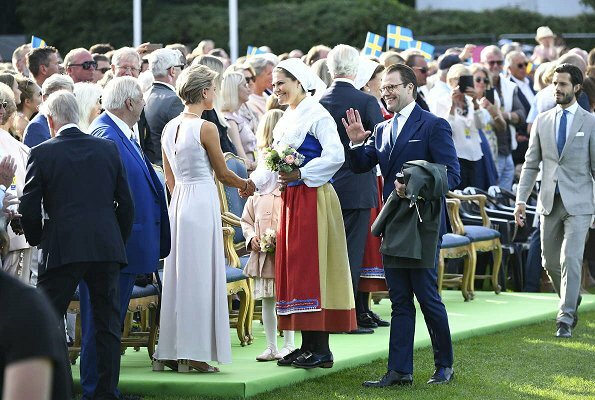 King Carl Gustaf, Queen Silvia, Crown Princess Victoria, Prince Daniel, Princess Estelle, Prince Carl Philip, Princess Sofia, Princess Madeleine of Sweden and Christopher O'Neill attended the celebrations of Crown Princess Victoria's 40th birthday held at Borgholm Sports Arena in Öland Island.